How Does One Help With Those? A new school year provides lots of opportunities to spot awesome stuff that kids write! If you find something humorous hanging on the wall when visiting your children’s schools, snap a pic with your phone and pass it along to us. And please tell friends and teachers about Stuff Kids Write! Submissions can be sent to either leanneshirtliffe@gmail.com or mcfadden.chase@gmail.com. Posted on July 31, 2012, in Miscellaneous, Misspelled and tagged children writing, funny, funny kids writing, Humor, kid writing, misspelled words, misspelling of horse, Stuff Kids Write. Bookmark the permalink. 6 Comments. I’m really wondering if Billy needs any help with his hores. Your posts are always a bright spot, Chase. Hello! I really enjoy your posts! You continue to inspire me through these authentic, heartfelt posts. I know it was an innocent misspelling, but ‘hores’ had me laughing out loudly. Also, the sentence immediately following that one was, “I’m not doing anything.” Well, that’s it then. Kids make you smile sometimes (and laugh). 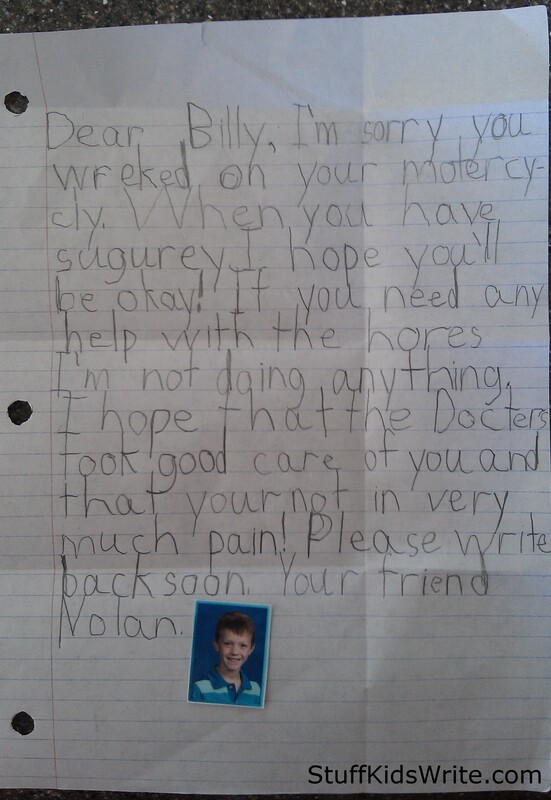 Billy has hores? I always knew he was a pimp.